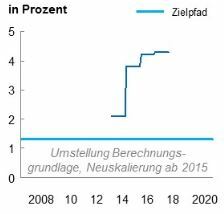 The Energiewende is proceeding ahead of schedule with high grid reliability. However, costs are much higher than originally planned, while CO2 emissions are stagnating. Net value of new wind/solar is approaching zero as market value declines and integration costs increase. Wind/solar market shares have now reached the point where large grid expansion projects become critical. It will be very interesting to see how Germany performs in this complex next phase of the Energiewende. The German Energiewende has long been the world’s leading experiment in large-scale deployment of variable and non-dispatchable renewables. Data from this €200 billion (and counting) experiment is very important to quantify the practical and economic challenges of large-scale wind/solar power deployment. 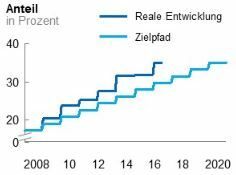 The primary experiences from the Energiewende are well documented. On the positive side, Germany has been able to continue expanding its renewable electricity output at a very impressive rate. 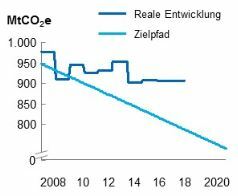 On the negative side, the costs of this transition have been higher than expected and CO2 emissions have barely budged since the 2008/2009 financial crisis. 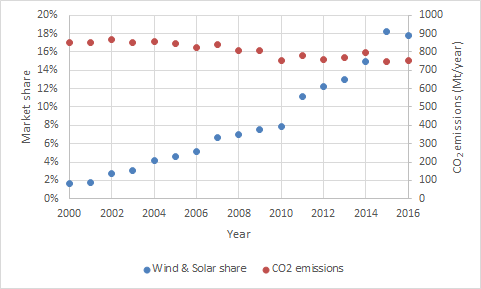 Wind/solar shares and CO2 emissions under the Energiewende (source). This article will delve a little deeper into these trends with the help of the Energiewende tracker from McKinsey & Co.
Last year was a good year for German renewable electricity production, especially wind power. In total, 104 TWh of wind and 38 TWh of solar electricity was generated. Total German electricity production amounts to about 650 TWh, resulting in wind and solar shares of 16% and 6% respectively. When considering practical integration of variable renewables, however, the effective market shares are about 25% lower given that Germany relies heavily on imports/exports to balance its wind/solar output (quantified earlier). A sample week in 2017 is shown below as an example of the clear correlation between wind/solar output and electricity exports. This brings the effective wind and solar shares to 12% and 4% respectively. 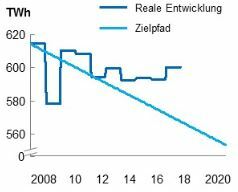 At these shares, the market values of wind and solar power are already down to 82% for onshore wind and 92% for solar PV (below) – in line with data used in a previous article illustrating the perpetual subsidy dependence caused by this self-cannibalization effect of variable and non-dispachable renewables. Market value of different electricity generating technologies relative to the system average in Germany for the year 2017 (source). When we use the marginal value of new wind and solar capacity (correctly accounting for the fact that new capacity will lower the value of all existing capacity), new wind and solar value factors drop to 54.2% and 62.1%. 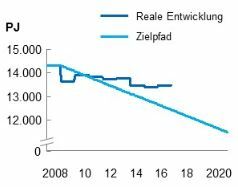 This is a critical insight from the Energiewende experiment: even at current relatively modest market shares, new wind and solar energy is worth just over half the current wholesale price, about €18/MWh and €20/MWh respectively. The McKinsey & Co report contains 13 performance trackers that will be briefly discussed below. In all the graphs, the target trajectory is indicated by the light blue line and the actual trajectory by the dark blue line. Firstly, the well-known stagnation of CO2 emissions is shown. This is primarily the effect of displacing nuclear with renewables while coal remains relatively constant. As mentioned earlier though, the rate at which Germany has expanded renewables is very impressive. 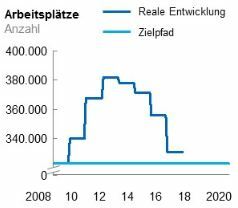 The Energiewende has therefore successfully proven that renewable energy can be rapidly built out if subsidies are large enough. It should be mentioned though, that the German renewable energy buildout is about 2x slower than the French nuclear buildout of the 1980s. Percentage of renewables in annual electricity consumption. Next, we see that primary energy consumption and electricity consumption are remaining quite flat. Given that very high electricity prices provide a large incentive for increased efficiency, this result therefore appears to illustrate the limits of what can be achieved by energy efficiency measures. 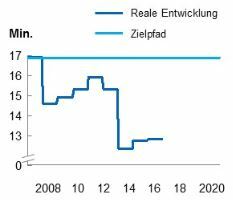 Next, we see that Germany has managed to maintain impressively high grid reliability, primarily by maintaining a large reserve margin. Minutes of power supply failure per year. The costs of maintaining this good grid reliability are rising though. As shown below, network costs are increasing rapidly and are currently up to €13/MWh of wind/solar electricity. This is the cost associated with grid stabilization and reserve power plants. It is important to note that this cost is approaching the marginal value of new wind and solar, implying that the net value of new wind & solar capacity is already approaching zero. Added grid costs from wind/solar power. Part of the reason behind this rapid cost increase is that electricity networks are not being expanded rapidly enough. The two following graphs show that Germany is falling behind in terms of general grid expansion and interconnections with the broader European grid. The need for vast transmission system expansion, often across international borders, is one of the primary challenges of accommodating high wind/solar market shares. 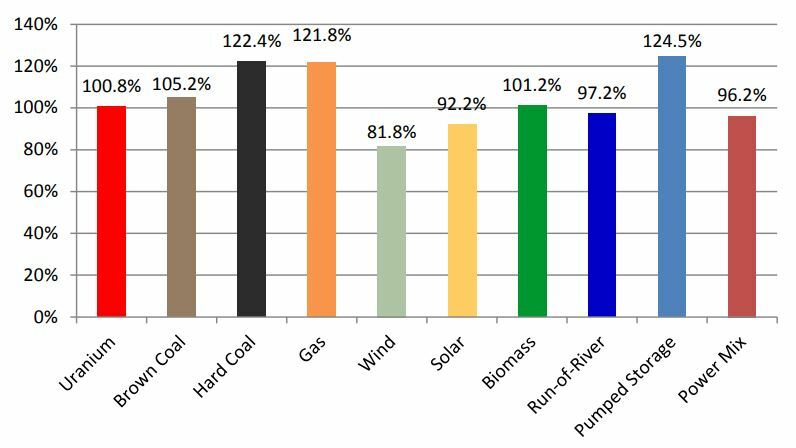 Interconnection capacity as percentage of generating capacity. Next, we take a look at electricity prices. 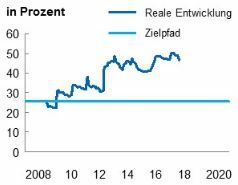 Firstly, the famous Energiewende surcharge on consumers is shown below. It has flattened out at about double the original target. 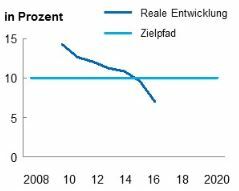 As a natural result, German households pay almost 50% more for electricity than the European average. Percentage by which household electricity prices exceed the European average. Industries are protected from this cost increase to a certain degree, although prices remain higher than the target. 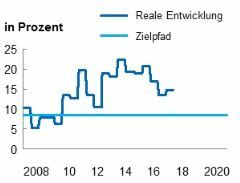 Percentage by which industrial electricity prices exceed the European average. Finally, a measure of the number of jobs in renewable energy is provided. It is clear that significant contraction has taken place in recent years following the great solar PV boom of 2010-2013. Number of renewable energy jobs. 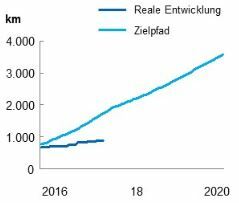 To date, the German Energiewende has clearly proven that renewables can be expanded rapidly if the population is willing to pay. Renewable energy expansion is proceeding ahead of schedule and grid reliability remains high, but this comes at a cost that is more than double original targets. Cost will continue to pose a significant challenge as the net value of wind and solar power approach zero due to falling market value and rising integration costs. 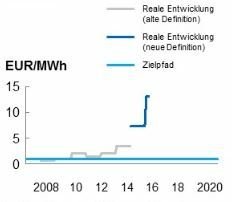 The Energiewende now enters the next stage of wind/solar integration where substantial grid expansion is required to balance variable renewables. 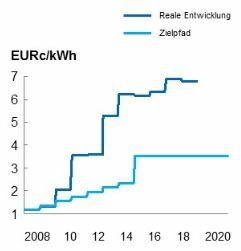 Currently, Germany is falling behind with this task, leading to rapidly increasing grid stabilization costs. This will be an interesting test for the Energiewende given the complexity and scale. Up to this point, the modular nature of wind/solar power made their expansion attractively simple. From this point onward, however, continued expansion will require large and complex national and international grid expansion projects. Aside from this transmission buildout challenge, it will not be long before Germany will require significant expansions of energy storage. 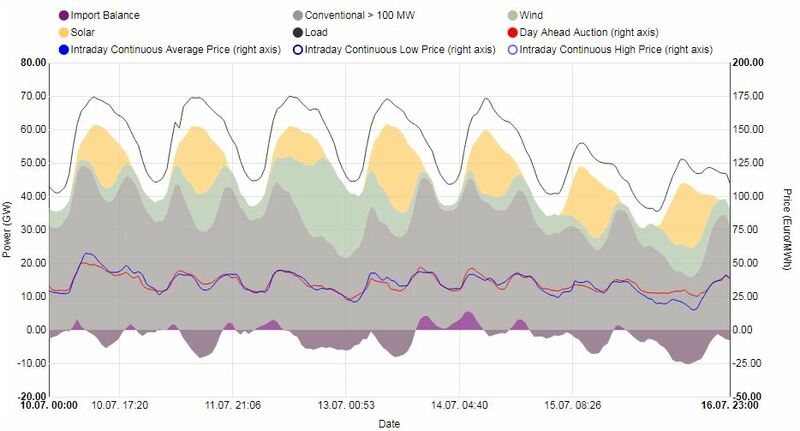 The current electricity mix already achieves occasional scenarios where wind/solar supply approach total demand, resulting in negative electricity prices. This will either require curtailment or energy storage, both of which are rather costly. The Energiewende therefore remains a fascinating large-scale energy experiment. As far as I’m concerned, the jury is still out on whether this will work or not. I will certainly continue to follow closely as Germany embarks on this next, much more complex, phase of wind/solar power expansion.